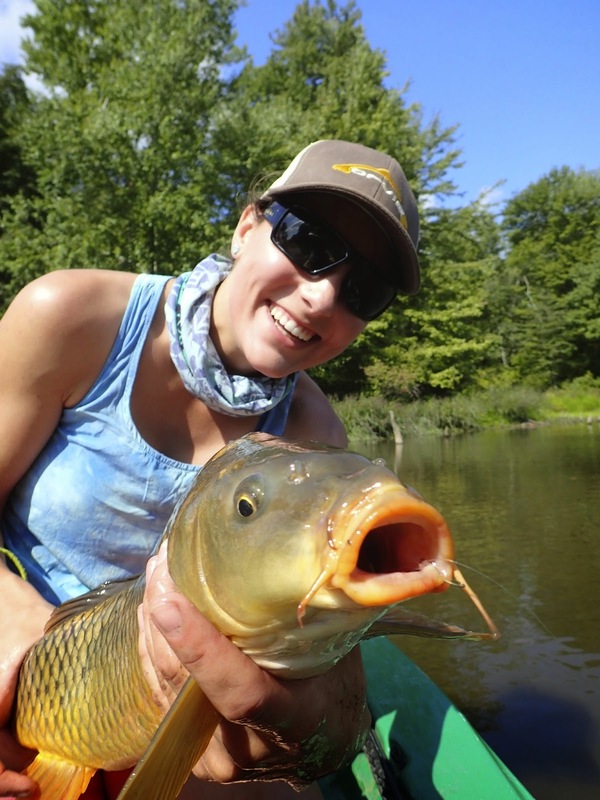 Late summer carp fly fishing is not as productive as earlier in the season. 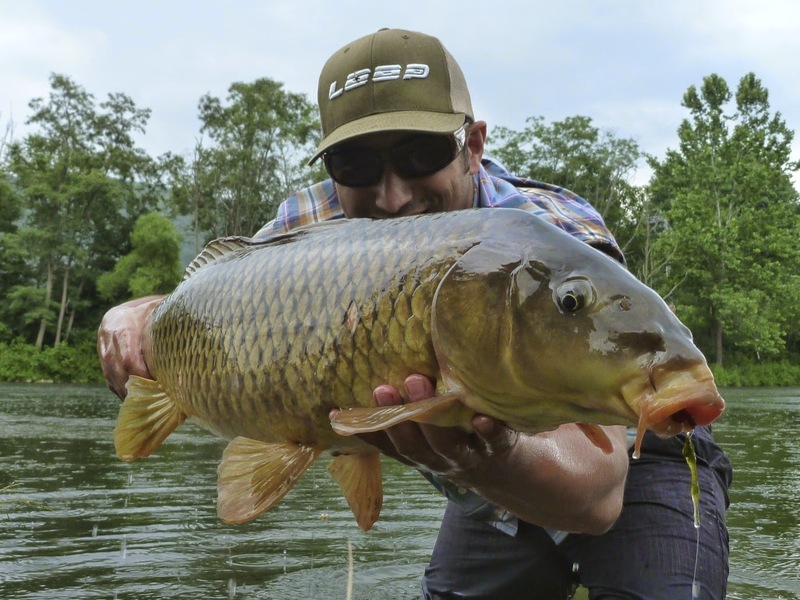 Rivers, creeks, stillwater ponds, and lakes are low from lack of rain and the carp are extra spooky. 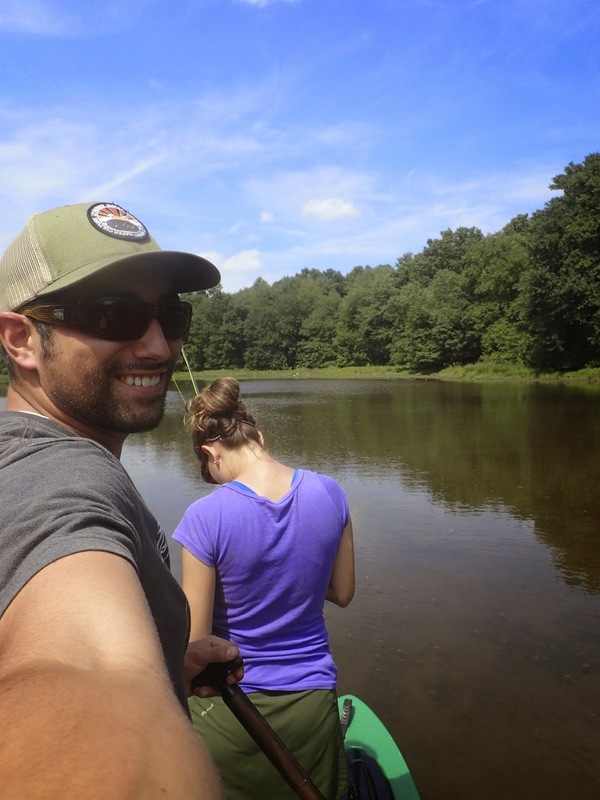 The water is clear and they have seen a full season worth of flies, lines, and anglers. The fish are less active during the day, instead preferring the protection of the night, early morning, and late evenings. 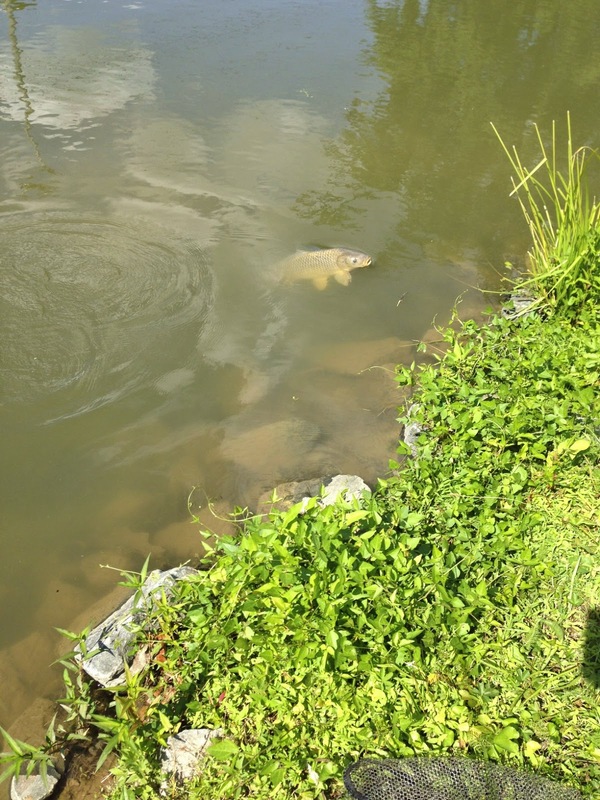 In order to be successful, one has to be extra stealthy and pick and choose targets in order to have a productive session without scaring every single carp they cast to. 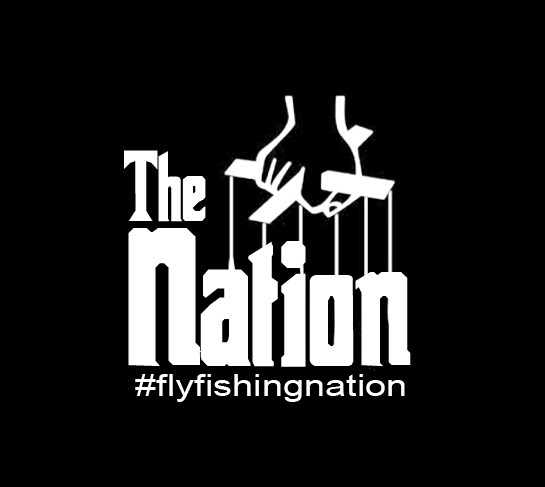 Fly patterns need to be tweaked by switching colors, downsizing, or simply showing them something they've never seen before. Most importantly, you should not overfish your "go to" spots. Doing so, will simply result in a degraded carping experience. 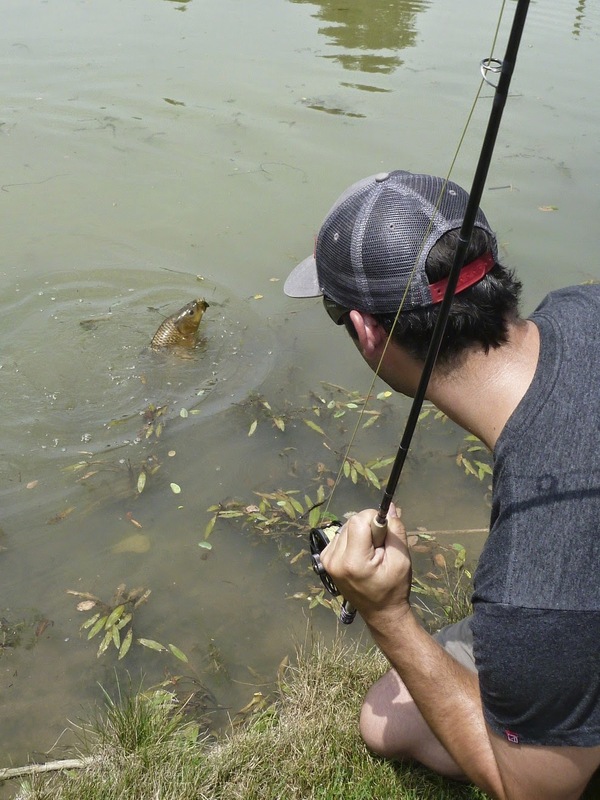 Practice sound carp rotation, rather than pounding the same waters over and over. Doing so will result in less "spooky" fish and more hook ups. 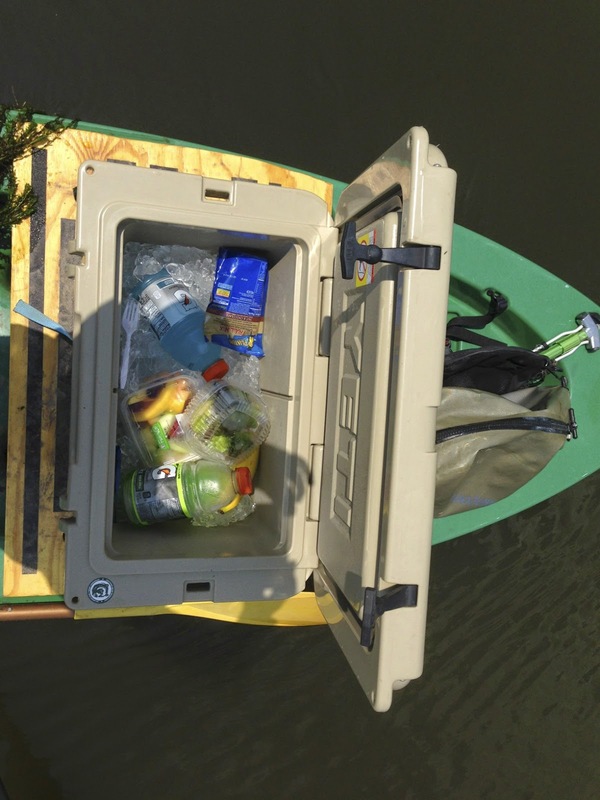 Carping via a SUP or kayak will open up a tremendous amount of water for one to fish and explore. However, it can still be a frustrating experience. The best days are those with cloudless skies and little to no wind. I almost always position myself with the wind and sun at my back and won't even consider going without having an anchor. If the water is shallow, I'll anchor myself on flats that have some activity nearby. 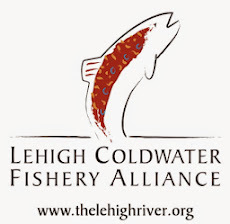 The best flats are by deeper water because the big fish can venture into the shallows while having the safety and security of the depths incase something goes awry. 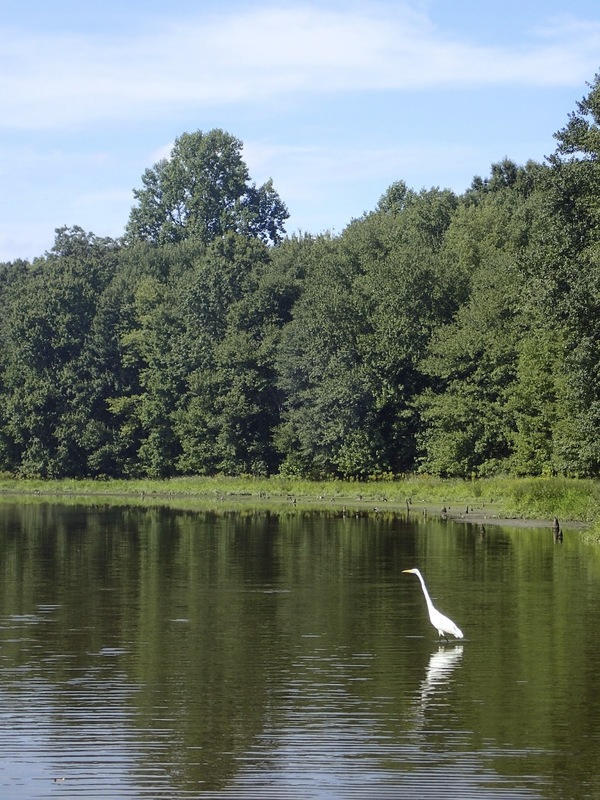 Often, fish will cruise onto the flats edges and begin feeding where they are easy targets. If the water is deeper, I am actively paddling around looking for a mud plumes or bubbles. 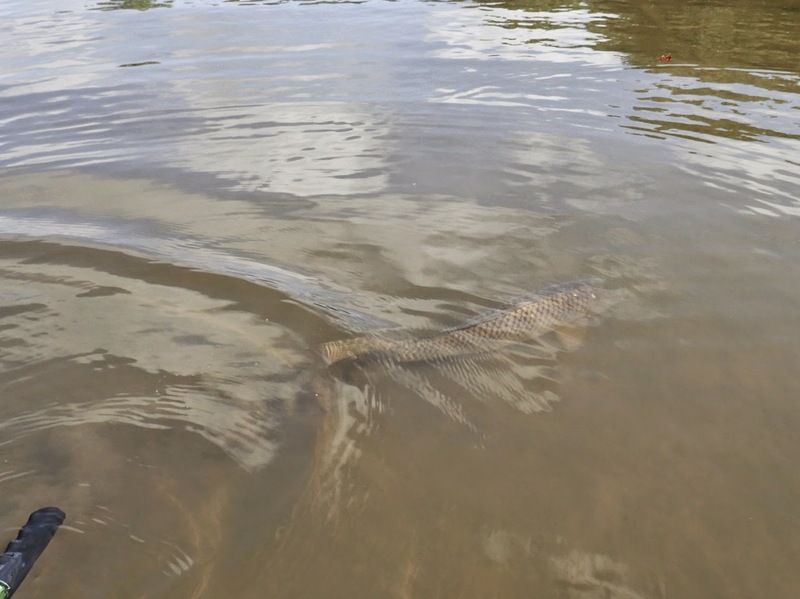 If there is little to no wind, I'll slow my SUP as I approach my target and wait for the carp to ascend in the column. If it is windy, I will anchor up with a good view of my target before waiting for an opportunity. These two techniques are by far the most productive way to carp on fly via a SUP. It helps to limit a myriad of problems that can occur and spook fish. In terms of fly rods for carp, I have found that I prefer longer rods because they afford me greater control over my flies. I purchased the Loop AEG Series 696-4 way back in 2007 and it was my "go to" rod for seven years. The rod has a super strong backbone but enough bend to protect lighter tippets and offer some degree of finesse. More recently, I upgraded to the Loop Opti River 798-5 and found some of the very things that made me like the AEG so much. Both rods are longer but still perfectly balanced when paired with a Loop reel. 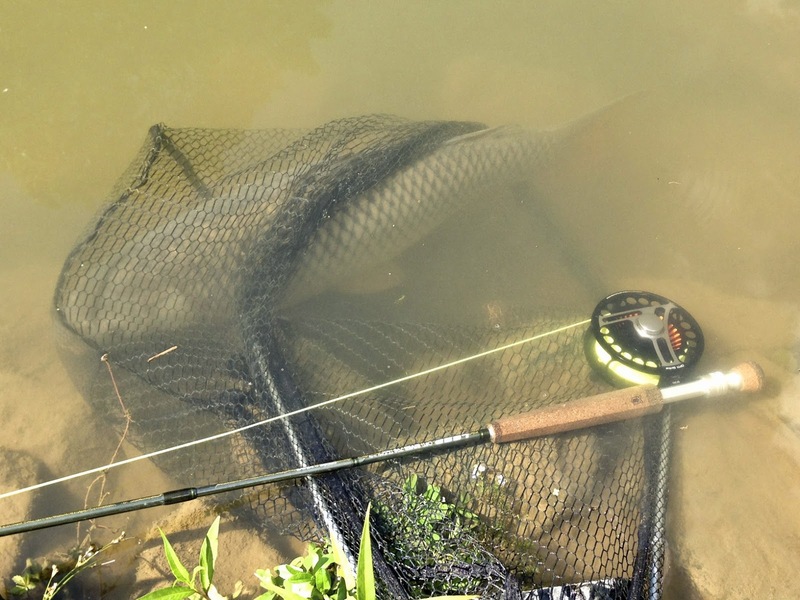 The extra length comes in handy while performing the best carping technique: the drag and drop. More often than not, I am casting slightly beyond my target and dragging the fly into position to drop it in front of the "zone". 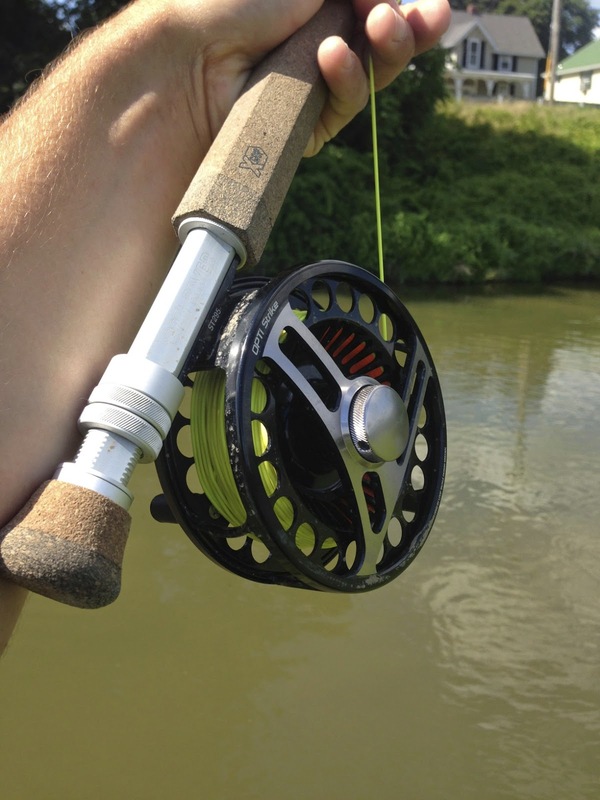 With this being my preferred technique, the extra 6-8 inches allows me greater control of the fly at greater distances than a typical 9 ft. rod. If your huddled along the banks of the river targeting carp 30 + feet away, you can still manipulate and dance a heavy fly on the bottom to entice a carp to eat. Another technique that benefits from length is dapping. 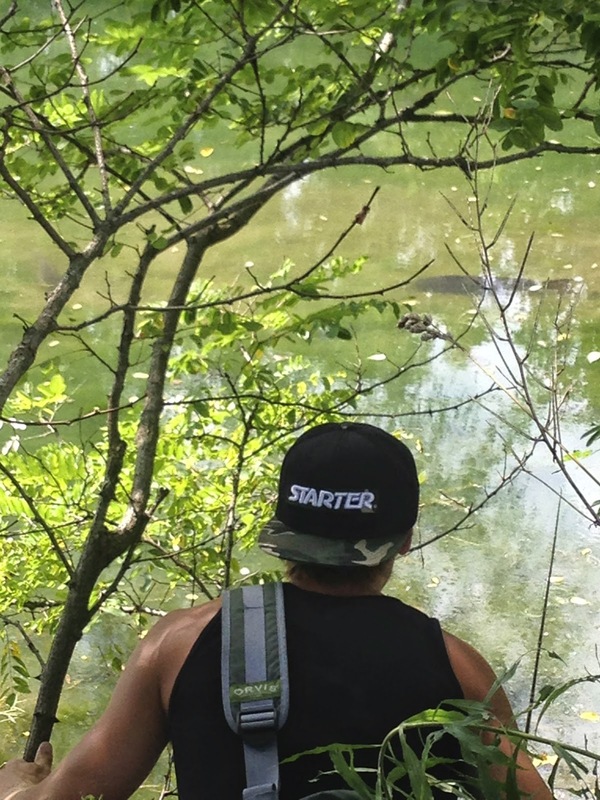 When targeting bank feeders, a longer rod shines, allowing you to stay further from the water to not spook fish. The one downside to longer rods is a lack of accuracy at close ranges or when your standing on a SUP and a carp is within a rod's length away and you need to make a very quick presentation. 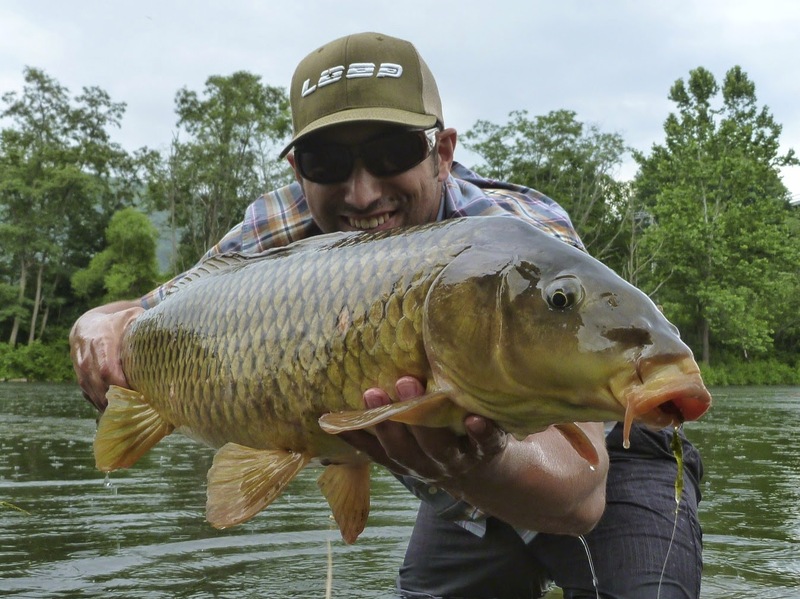 The Opti River has several added benefits that make it an ideal carp rod. For starters, it's an incredibly strong rod developed to catch Atlantic Salmon, so it has plenty of backbone and reserved power deep in the rod to handle large carp. 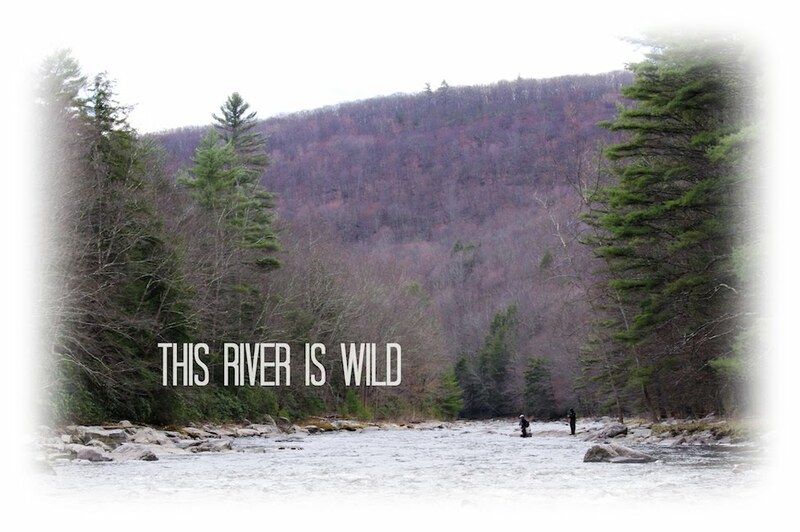 Despite the inherent power in the rod, it's not as stiff as typical fast-action rods that dominate the market today. Loop classifies it as having a mid-curve design with a medium-fast tempo (recovery). When your hitching a bomber dry fly to Atlantic Salmon you'll definitely need some finesse and accuracy in order catch those fish. 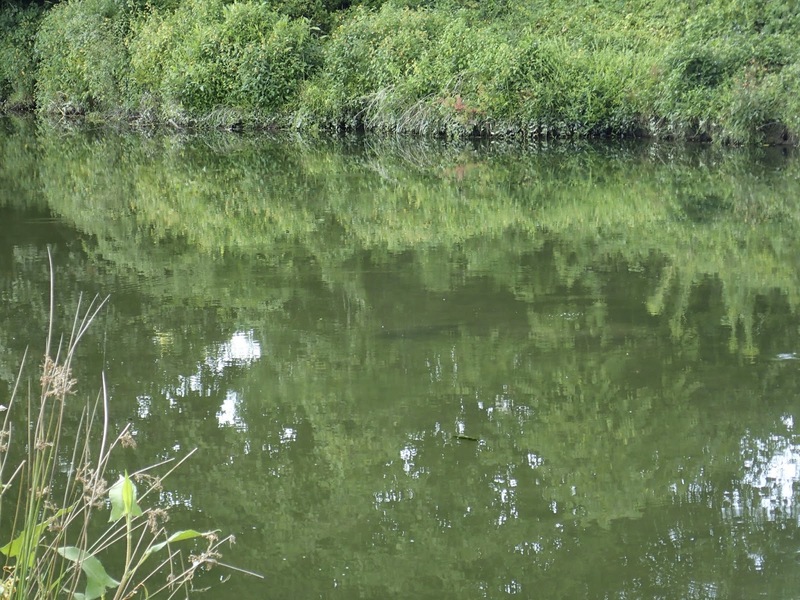 These qualities transition extremely well to the carping game. 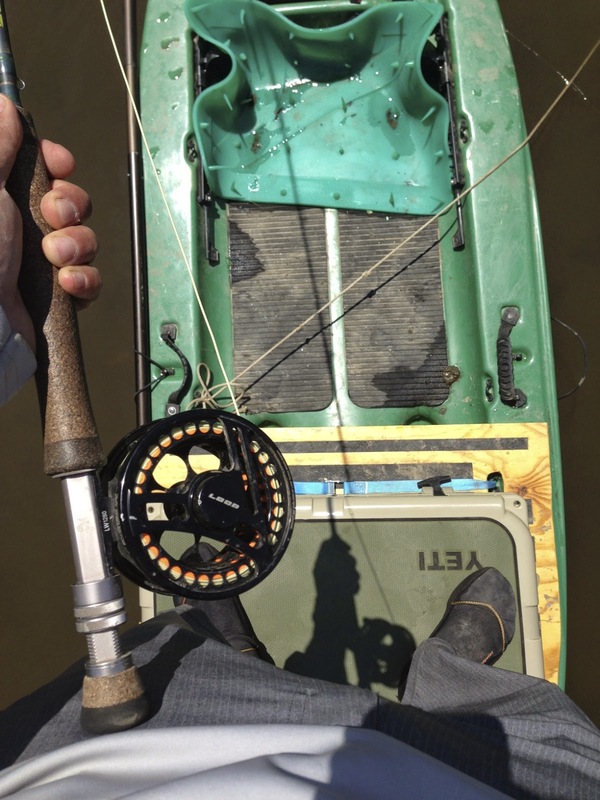 The Opti River doesn't protect light tippet as well as the AEG but it is pretty close. I wouldn't use anything lighter than 3x, which is basically as light as I go with a 7wt. rod. Other features include a 100% composite cork that will never fail and will withstand a tremendous amount of abuse. It has a x-grip design that takes some getting used to but I've grown to love it. Last but not least, it is a 5-piece design that makes it pack down much smaller than a regular 4-piece 9 wt. rod. Over the years, I've used a host of fly lines for carp from a variety of different companies: Rio, Scientific Anglers, Airflo, Orvis, and Loop. 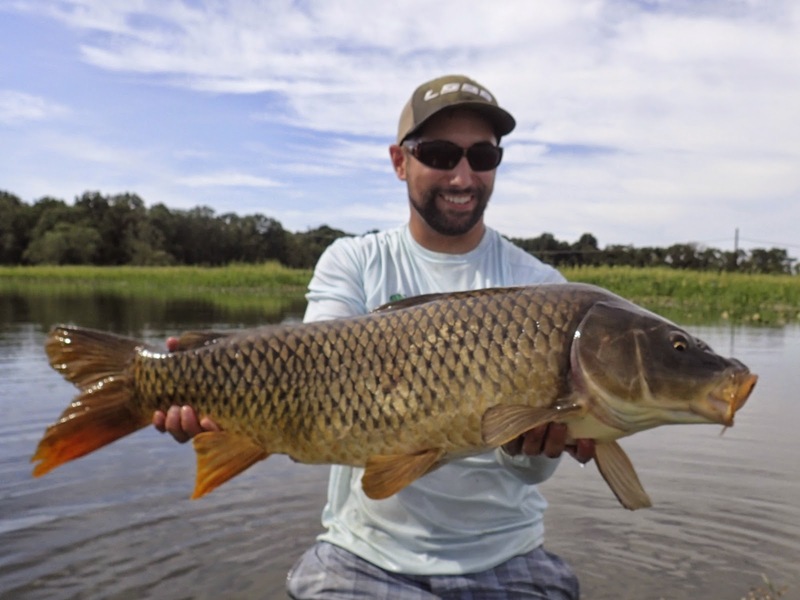 When it comes to fly fishing for carp, the vast majority of casts are between 10-30 ft. with rare casts beyond 40 ft. 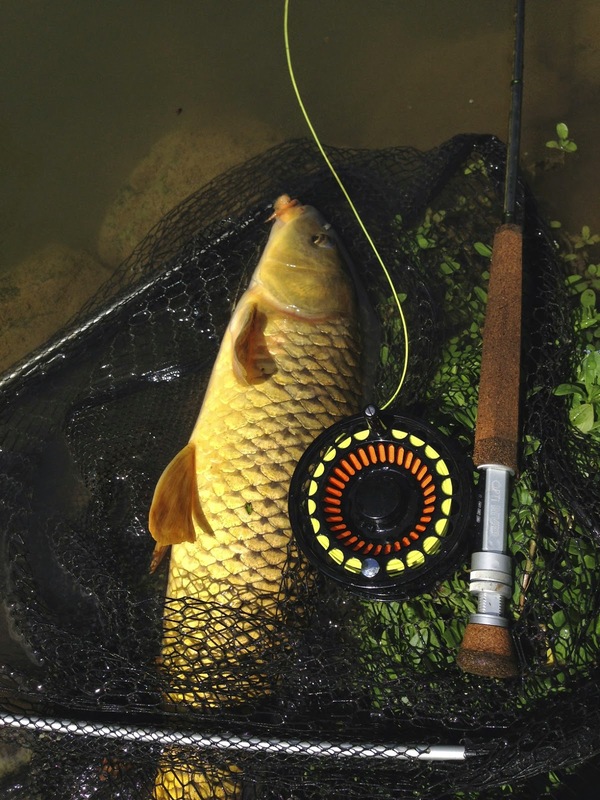 Therefore, when looking for a carp fly line the head length and front taper are the most important features. When I am using a light fly and long leader, I tend to opt for a line with a gradual, long front taper for a softer presentation. 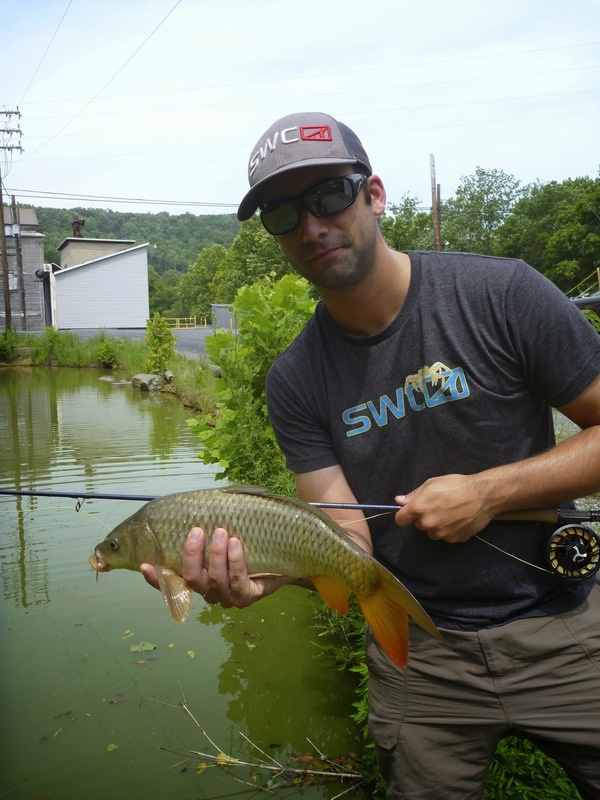 When I am using a heavy pattern like a carp crab or trouser worm, I go for line with a shorter, more aggressive taper that can turn over the fly at close ranges. An ideal carp fly line is a mixture of both qualities. You need enough weight in the head and an aggressive enough taper to turn over heavy flies but still be soft and accurate enough to not spook carp. Two recent lines I've used stand out in this regard: the Orvis Hydros Carp line and Loop's new Opti V5 line. 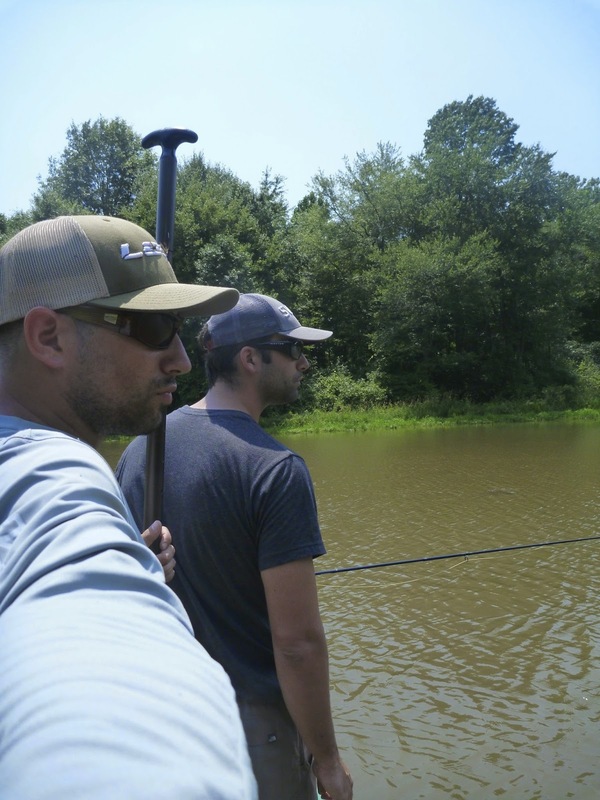 Adam and I had the opportunity to test the prototype of the Orvis line and came away very impressed. The front taper measures out at 7 ft. and is rather light for more delicate presentations to spooky fish, but the belly features enough weight to still turnover heavier patterns at close ranges. 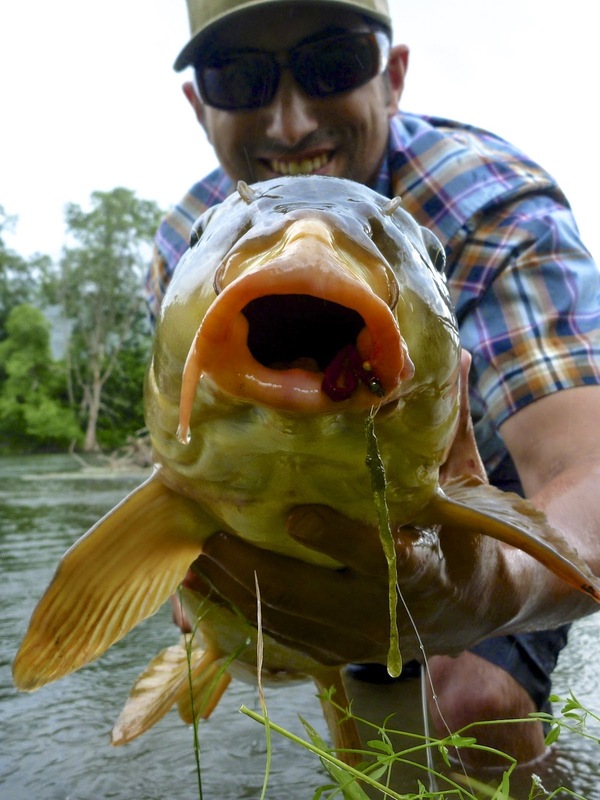 It has a great olive color that doesn't spook carp as frequently as the V5, which is lime/yellow. A downside to the Orvis line is durability. It simply doesn't hold up well to the rigors of carp which resulted in cracks and the failure of the welded loop. The Opti V5 has a shorter front taper that turns flies over well because it features slightly more weight than the Orvis carp line. However, it's not enough of a difference to limit accuracy or delicacy. The V5 is a super slick line that shoots well, especially when frequently cleaned. A downside to this slickness is that it tends to wilt in the heat. 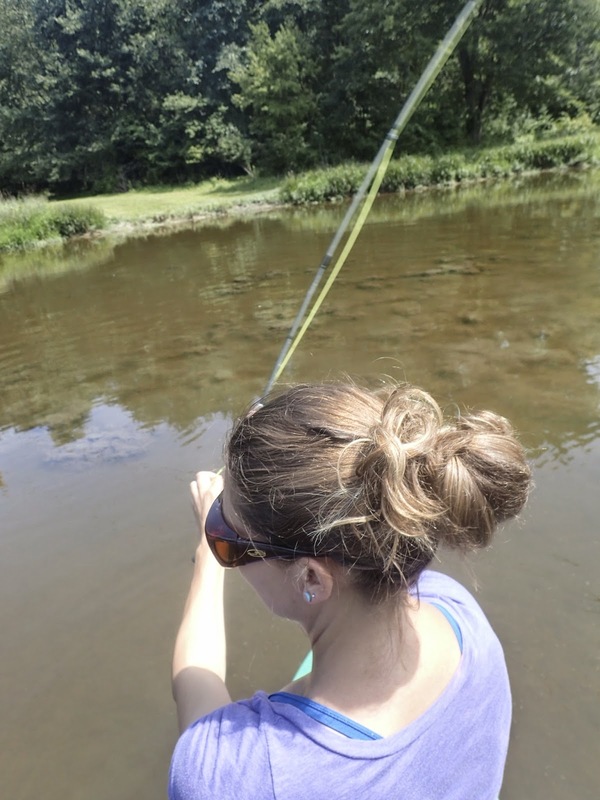 If temperatures are humid and in the 90s, the line can get very limp and harder to cast. This only happened to me on a few occasions the entire summer. 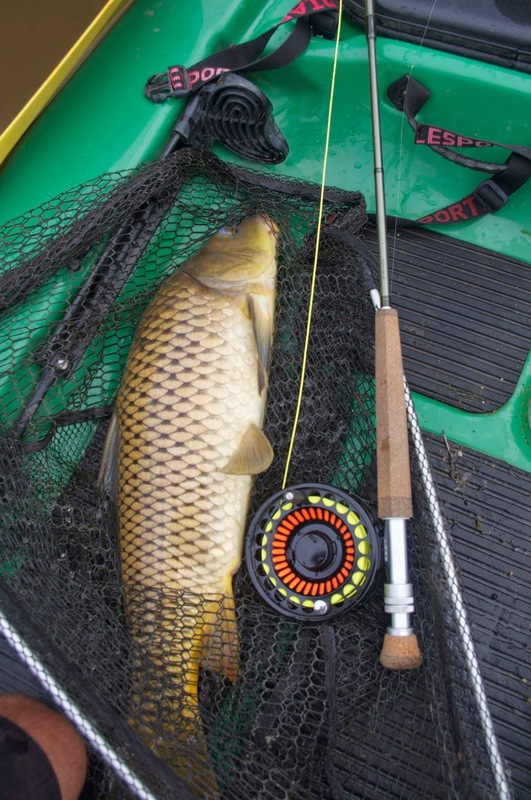 In my experiences on the water and in the casting yard, the Orvis Carp line has greater accuracy/control on casts from 5-15 ft. while the Opti V5 has better accuracy/control from 15-30 ft. They are both suited extremely well to the carp game and were my preferred fly lines this season. 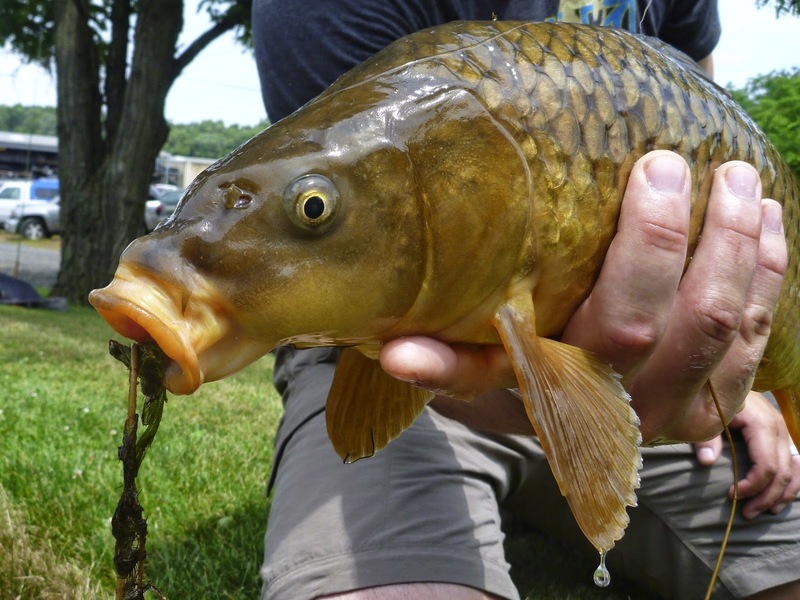 Carping has grown in popularity over the past several years because they offer a unique challenge to freshwater anglers. 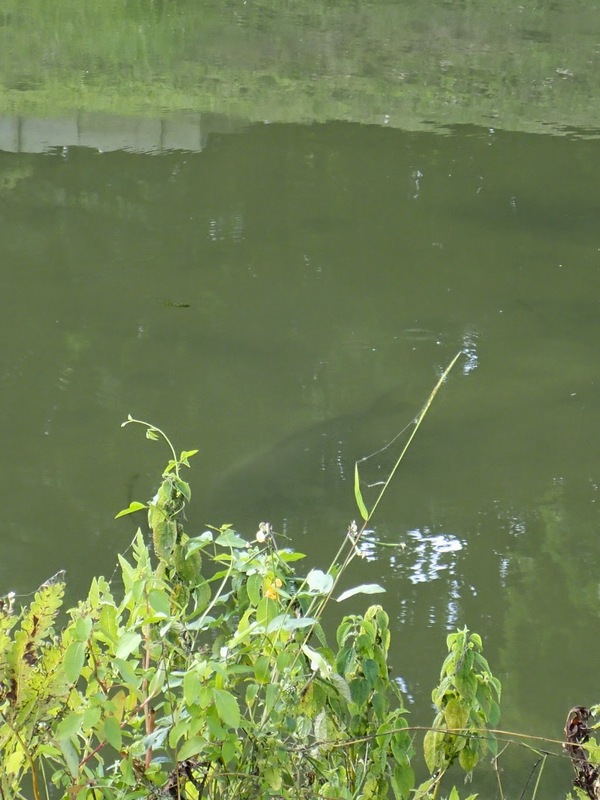 More often than not, you'll have the entire pond, creek, river, and their many carp to yourself. When you land a good fish, it will probably weigh more than all the trout you caught in the past month COMBINED. So instead of fishing for the stressed out trout suffering from lack of flows and high water temperatures, head to the local carpin hole and get schooled. You'll be glad you did. 400 pounds on a Diablo SUP floating in six inches of water. I wish I had more places to rotate, in that I agree greatly. Love the rod and agree with the extra length. My favorite lines tend to be nymph or those such as the Rio Grand or SA GPX, have worked them at all tepms as well. Great essay and photos as usual! Certainly a good summer, I am just starting targeting carp and the three I got this year made me plenty happy. They are such fun fish. Thanks Gregg, most weight forward fly lines for trout work well for carp, however some are better than others. RM- fun fish indeed, I hope you get some more next year! Glad you had such a great year. Plenty of carpin left! Well, not plenty I guess. Sigh. Iagree on the length and am actually pondering 10 foot for my next rod. The extra 6" is just so awesome on my 9.5'. The extra control on the drag is critical. Over the last 13 years that I've been Fly Carpn I have settled on a 9 ft 6 wt TFO TiCr rod(not made anymore) lined with a Scientific Anglers 7 wt GPX Taper from their Mastery Textured Series. The rods been used for 10 years, the line for maybe 4-5 years. I looked for a line that will cast well extreme short ranges to long range plus be able to hold up to the questionable water Carp live in lol. My experience is pay the extra $$, it will save you in the long run. I'm a bit of a nut for Carp, I wear natural earth tone colors and when they get spooky I fall back on multicam head to toe.